Let’s talk about Martin Scorsese a bit, shall we? The much-lauded, Oscar-winning director/producer/film historian has rightly been recognized as one of out greatest living filmmakers, with classics like TAXI DRIVER, RAGING BULL, GOODFELLAS, GANGS OF NEW YORK, and THE DEPARTED on his resume. Yet Scorsese started small, directing shorts and the low-budget WHO’S THAT KNOCKING AT MY DOOR? as a film student. He got work as an editor (UNHOLY ROLLERS) and assistant director (WOODSTOCK) before directing a feature for Roger Corman called BOXCAR BERTHA, starring Barbara Hershey and David Carradine. When Scorsese and Mardik Martin cowrote a screenplay based on Martin’s experiences growing up in New York’s Little Italy, Corman wanted to produce, but only if the film could be turned into a Blaxploitation movie! 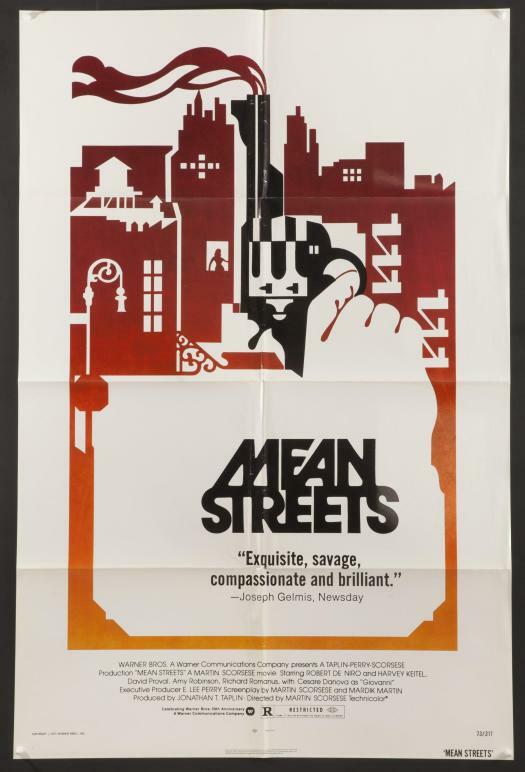 Fortunately, Warner Brothers picked it up, and the result was MEAN STREETS, which put Scorsese on the map as a filmmaker to be reckoned with. This entry was posted in Film, Film Review and tagged Amy Robinson, Cesare Danova, Cracked Rear Viewer, Crime films, Gary Loggins, Harvey Keitel, Martin Scorsese, Mean Streets, Robert De Niro, Through the Shattered Lens, Warner Brothers. Bookmark the permalink.